The sight of the smoke that billowed in the sky because of the recent fire mishap destroying the Kilinochchi public market reminded me of the smoke that emanated in the high sky of Mullivaikkal on the fateful day of 18th May, 2009. The debacle we faced in Mullivaikkaal symbolizes our defeat, a defeat that was thrust on us by the gory hands of genocide. Kilinochchi public market serves as a token for the micro economical activities of the Tamils, who slowly were salvaging themselves from the ugly tentacles of genocide. It served to resurrect them slowly from the debacle they faced and probably wage a long but just struggle for their freedom. 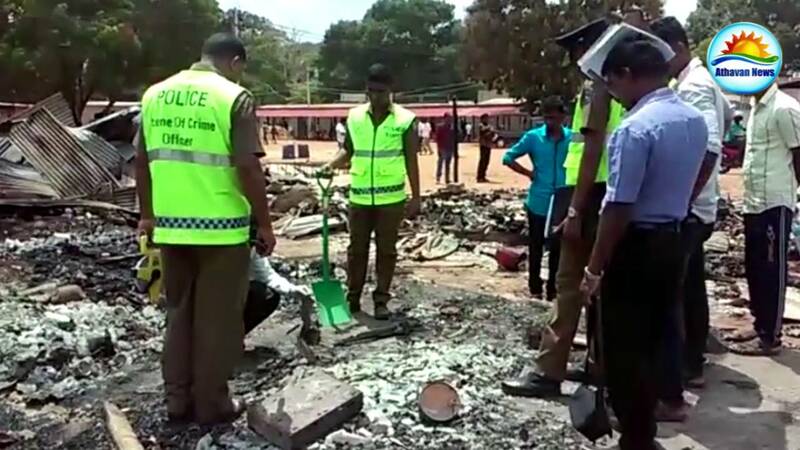 The attitude of few to view the fire at Kilinochchi public market as “yet-another-fire mishap” and probably regular news is something sad to hear. We need to travel to the sorrowful days of Mullivaikkaal to understand this better. The massacre of Mullivaikkaal has created a deep scar in the hearts and minds of Eezham Tamils both individually and as a community. To many, this scar seems more political. But the truth is rather different. It has ramifications that run deep, into the social, cultural, psychological, economical, and livelihood aspects of the Eezham Tamils. How these ramifications have come into play, both individually and as a community, have to be subject to a series of analysis. Our immediate need is to identify these ramifications and to save ourselves from its ill-effects. Our basic need is to come out of the ill-effects of these ramifications before we strengthen ourselves politically. This is the truth and it is not beyond comprehension. As I keep maintaining for long, we Tamils were defeated not just militarily and politically. Our homeland, our unique ethnicity, our socio-cultural heritage based on our language, our collective psyche, our economy and our livelihood were all destroyed and destructed. This is not something ordinary. One of my research analyses says that our generation that has survived this massive onslaught will have to experience the impact of this destruction for a minimum of three more generations. This is the exact reason why we quipped that beyond politics, we may have to pay a heavy price for our mere survival wherever we live in this world. The destruction of socio-cultural heritage, collective psyche, economy and livelihood of a race evolving from its homeland, its ethnicity and its linguistic affiliations, constitutes the destruction of its polity. So rather than fighting among ourselves as to what our next political move would be, prudence has it that we concentrate rather on resurrecting our socio-cultural heritage, collective psyche, economy and livelihood for restoring our political identity. 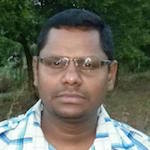 It is at this juncture, in the post Mullivaikkaal era, that the basic livelihood aspect and the economy of the Tamils gain an ideological shape. Politics, Economics and Culture are deeply tied together. A research of mine that takes into account these deep ties has found a disastrous consequence that awaits the Eezham Tamils post Mullivaikkaal massacre. I tagged the economy and cultural aspects with the current world order to arrive at such a conclusion. They truly remind me that bad days are ahead, a catastrophe awaiting us. Economics is not a solitary philosophy. It is a concept that is multifaceted and diverse. Finance is one such facet inside economics. This single facet truly depicts the challenges that Tamils face in the aftermath of Mullivaaikkaal massacre. A tacit understanding of these implications can point to the importance of the burning of Kilinochchi market. We were citizens of Government of Tamil Eezham, a de-facto nation-state for over 25 long years. The rulers of this de-facto nation-state of Tamil Eezham were the Tamil Tigers. Even people who detested being under them were partners under their de-facto Government. Every infrastructure required to run a Government like finance, justice, administration, police, army and other things, were under their disposal until the debacle of Mullivaaikkaal. It was under this very shadow the livelihood of Diaspora Tamils too were active. Even among the Diaspora, the people who hated Tamil Tigers were part of this arrangement neatly tangled and fixed. Hence our livelihood based on the economy, the fruit of our hard labour, our earning and their distribution was neither dependant nor central to a state called Sri Lanka for well over three decades. We were far from their clutches until recently. It was the Tamil Tigers who were central to it. Though their de-facto state did not receive any international recognition, they were active either within or outside the framework of the international legal system. Some do not feel the truth from within. The massacre of Mullivaaikkaal brought the infrastructure of a nation to an abrupt end. Though the de-facto nation was pretty live, it was a known fact that it did not have any recognition from the international players. It was a separate nation-state and we are its citizens that form its identity. Assuming we accept the notion that Tigers were a fascist force who were ruling with iron fist and used civilians as human shields during the final war, we need to accept the basic truth that we were a society under their regime. So our livelihoods were dependent on their establishment and not on a nation called Sri Lanka. This is the very basis of the ethnic issue. When a nation’s infrastructure is completely collapsed what will its citizen’s do? The answer is chaos. This is precisely the situation we face today. We were discussing about one facet of economics called Finance. So let us restrict ourselves to that now. After the Mullivaikkaal massacre, every Eezham Tamil has been made a debtor. We do not understand the larger implications of this. Eventually every Eezham Tamil would probably get a grip of this truth. Rotation of money or distribution of money is an important aspect of an economy. The rotation of money, the fundamental of socio-economy of the Eezham Tamils, has been disrupted after the Mullivaaikkaal massacre. The impact cannot be felt immediately. But it is imperative that we are pushed to feel it immediately. Rather than looking at the issue from an angle of Vanni war, it will be helpful if we look into this aspect. From an angle of the extent of homeland the Tigers had under their control. The complete administration of the extent of homeland the Tigers had under their control determined the economy of not just the citizens of de-facto Tamil Eezham but also that of the Diaspora Tamils. When the Tigers started to lose their grip on the homeland, rather when they started losing the territory they controlled, none understood the economical implications of it. Even now there seems to be no understanding around the subject. When loss of territory became complete with the Mullivaaikkaal debacle, our economy effectively seized and we were crippled. Ponder for a moment what situation will arise in the country you live should this distribution or rotation of money be stopped completely and abruptly. You can feel the chill it sends down your spine. Such a catastrophe has befallen us. The Tamil Tigers, the de-facto Government they ran, the citizens of our homeland, and the Diaspora Tamils, this intricate web was bound by threads of support to the struggle and support to their blood relations living in the homeland. This innate web was a micro economy in real sense with all its nuances of money distribution and rotation. It is this fine arrangement that was completely decimated. As early as June of 2009, I had raised several questions regarding the economical impact this war had on the Tamils. They are, in our Homeland the immovable properties hitherto in the hands of the Tigers were destroyed and captured by the Sinhala Government. In the guise of training the guns on the Tigers, the Government has labelled civilian’s movable properties as the properties belonging to the Tigers and have begun the exercise of confiscating them. In equal measures, they have started targeting the properties of the Diaspora Tamils too. If this was one side of the economic woes, there was another side too. The Tamil civilians who were affected by the war and who were confined inside the barbed wires have now lost their livelihood and their wherewithal to lead a life. Who will maintain them? The war has consumed many able bodied men who were breadwinners of the family. Those families are now pushed to stay put where they are. Who will maintain them? Many thousands were employed by the Tigers in their administration. What will happen to them? What bright chances do they have for an employment? It is said that over 15,000 Tamil militants surrendered. They had lost their education and employment opportunities because they served the freedom struggle. What future has in store for them? Beyond polity, many such questions that linger in our minds are connected to such economical aspects. But are we now in a situation to recoup what has been lost? The answer to this may be a bitter truth. At the time when money distribution cycle that was centred on the administration of the Tamil Tigers has come to an abrupt end, our realistic queries on the above subject make us paranoid. This harsh reality makes people a hesitant lot to talk about another war or another political arrangement for the Eezham Tamils. It is on this hesitation that few dub this defeat as something permanent to the Eezham Tamils. They actively engage themselves to find hotchpotch political solutions where the Eezham Tamils will be relegated to serving the whims of the Sinhalese. This is the ground reality in today’s Eezham politics. The Diaspora Tamils were central to the struggle of the Tamil Tigers and the administration of their de-facto Government. This notion cannot be explained in simple terms and concepts. This notion has many dimensions and facets and each may need different levels of explanation. I can go on explaining this in terms of foreign exchange, per capita income, GDP and other economical terms but ordinary folks would not comprehend this language. So it is better I give explanations in terms they can better understand. Let me attempt explaining by underlining few notions they would be interested in knowing. After Mullivaaikkaal massacre, it has become a taboo and a dangerous act to declare the relation they had with Tigers, not just in Sri Lanka but world over. Under such real circumstances, to talk about the economy that was centred on the Tamil Tigers would create more ripples and may land a person in a legal quagmire. The assets of Tamils Rehabilitation Centre that were frozen, the fund that were wired to the people in the Homeland, for their livelihood and for the purposes of freedom struggle, all were sucked into a system of no return. It is all completely lost. The funds that were sent for individual needs, for entrepreneurship need of their family and friends, all were totally destroyed in the last conflict. Before the war, when an individual had a financial requirement he would request for help with another Eezham Tamil. Few Eezham Tamils had the financial capacity to help them. But that situation is no more present. The problems we are facing now are collective. Each and every Eezham Tamil, the entire race is affected by this situation albeit in varying degrees. These happenings have completely extinguished the money distribution among the Eezham Tamils. It is impossible to doll out cash continually when there is no surety on how long the support is needed for a society that is not earning anymore. How can someone who represents a society that is devoid of money distribution act? This is precisely the economic impact that Mullivaaikkaal massacre has left behind. Eezham Tamils have become political orphans as a result of the economic misery Mullivaaikkaal massacre has brought in. It does not end there. Beyond that, they may have to wage an extraordinary struggle that is fraught with challenges to lead a normal life in the current world order. We pointed out the gist of this earlier. Under these circumstances, the Tamil civilians inhabiting the Tamil homeland have an onerous task ahead in building their economy. Should you look deeper into what is happening in Sri Lanka, you would understand the fact that the genocidal Government there creates more hurdles for economic emancipation of Tamils. The place where crimes against humanity, war crimes and the genocide were in full swing was Vanni. Kilinochchi is the centre of Vanni Heartland. The Tamil Tigers too had set up their temporary headquarters there in the past. Kilinochchi public market is not an economic hub of Sri Lankan Government. It is rather an economic hub of Tamils who struggle to keep their ends meet. When the shops were gutted, it would not be right to say that only few were affected. The entire Vanni population was affected by this incident in one way or the other. The current population of Vanni is engaged in trading and farming in a very small scale. That is their economy, a very miniscule economy to be precise. This miniscule economy was shattered by the burning down of the public market. The public market served as a hub for small producers of the large Vanni region, to send in their produces for sale. When a single shop burns, the hard labour and the savings of many families get gutted too. A woman militant survived by two children and who lost her husband in the war was saying that she has a sewing machine to support their livelihood. She used to stitch clothes and give it to a shop in Kilinochchi market for sale. Since many of her stitched clothes got gutted in the fire that engulfed the market, she is at great loss. With tears rolling down her eyes, she says that the shop owner would not compensate her for the loss and that it would not be fair on her part to demand that too. The money she mentioned is a pittance for us. But it is the entire savings she had. She now has to toil day in and day out to earn that money back. Some say that they have observed Tamils bartering their produces with other traders. Even if they could not sell their products, which were either farm produces or produces arising out of small scale labour, they had an understanding to barter among themselves. We have every reason to believe that this ancient system probably saved them from abject poverty and starvation. The fire in Kilinochchi market blew a death knell to the livelihood of thousands, whose miniscule economy depended on the functioning of this market. This untoward incident has given them more mental agony, increased their financial burdens and debts, and has caused untold domestic issues. Their family bonding has come to experience increased pressure and as a result some have been driven to taking their own lives. We would sit here as usual and would report this as “yet-another-suicide” story in our media. What a shame! I have maintained that this is not an administration that wants real reconciliation. This establishment uses its Government machineries to unleash its intention of genocide on Tamils in every opportunity. This is what is termed as a systematic structural genocide. The genocidal Government is yet to return the lands of the Tamils. The measure is aimed at targeting the families that are run by single woman. Our Tamil women are special souls. Before the 18th of May or before the wars that took place, our women folks never were dependants on their spouses for running their families. While they worked outside, they still continued with their small economical activities in their tiny homes. They were small scale entrepreneurs. Rearing of goats, small chicken farms, rearing cattle for milk, small scale farming, producing tobacco, processing of fish, producing palm based products were some of the micro economic activities they were involved in. Hence the reports that our women are begging on the streets, are indulging in prostitution, are expecting others to help them are something that could not be taken to be true. The ground reality is definitely fraught with difficulties and challenges. But the sole responsibility for this lies with the genocidal Government of Sri Lanka. Let the Tamils be allowed to live in their land. They have the strength to overcome the economic challenges by themselves. They have the ability to indulge in small businesses they were once doing. Or they would indulge in businesses and works their forefathers did. Those who fought the war handling the weapons would definitely know to steer their life with small businesses. What would befall when all the fish in the ocean are released in a pond? The water in the ocean which supported the lives is not the same as the water in the pond. This is the finer nuance of genocide. They have lost their business or trade they have indulged for generations. They have lost the cooperation of a set up called a village can offer. They have lost their family. They are traumatized psychologically. They lack necessary strength and are now standing with no support. All these are planned systematically to wipe out the Tamils from their homeland. This is structural genocide. So our land needs to be returned to us. No one needs to provide alms to our people. They shall strive hard for their survival. But our politicians do not seem to get to the roots of it. The burning of Kilinochchi public market has not just caused untold miseries to our people; it has caused untold economic hardship to an entire race, which is struggling to make the ends meet.